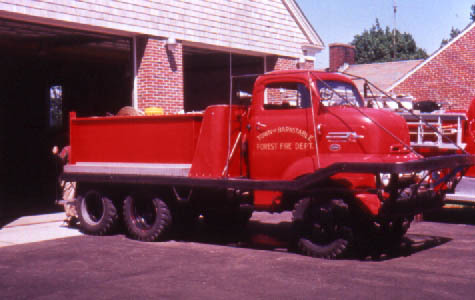 the original 1937 brush breaker and built a new brush breaker on this 1952 Ford Marmon Herrington chassis. 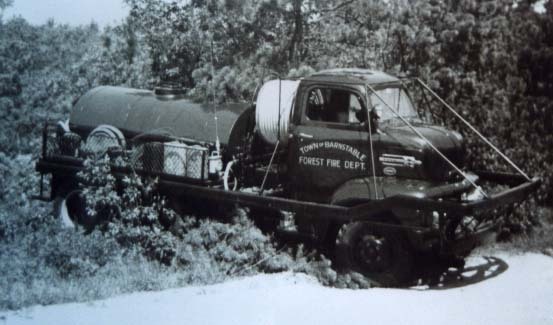 New fire chief and forest warden Charles Hallett (r) stands proudly with Deputy Herbert Coombs and the new breaker..
Town of Barnstable 1952 Ford Marmon Herrington Brush Breaker undergoes off road tests. 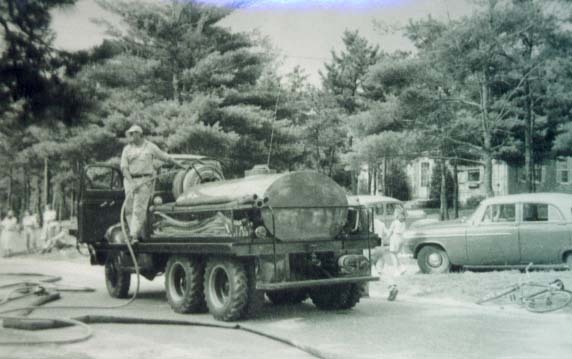 The brush breaker carried the 800 gallons of water so it also came in handy at structure fires as well. or drafting from a cistern, pond, or bog. 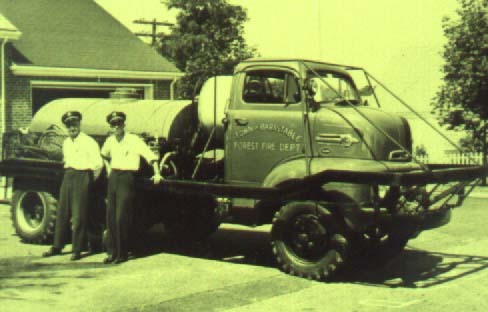 The 1952 brush breaker had a new water tank and new body work installed in the late 1950's. 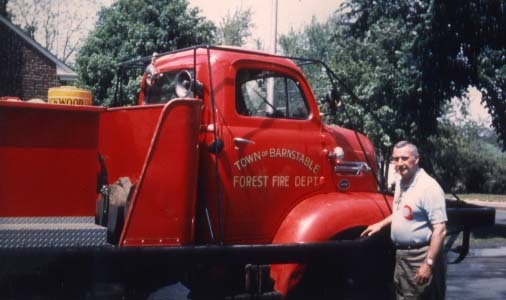 The reel was removed in favor of a sheltered area behind the cab for firemen to ride and operate from. having to get off the apparatus. 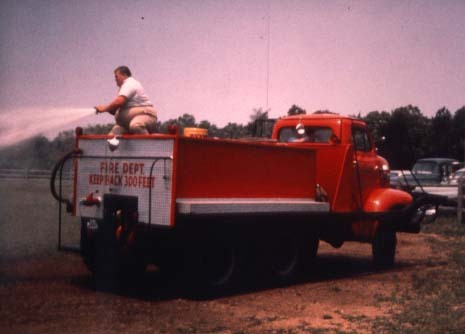 The brush breaker served assorted duties including wetting down the fairgrounds. 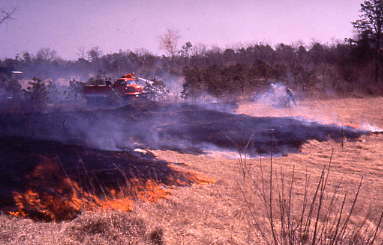 Grass and brush fires were very common on the Cape. 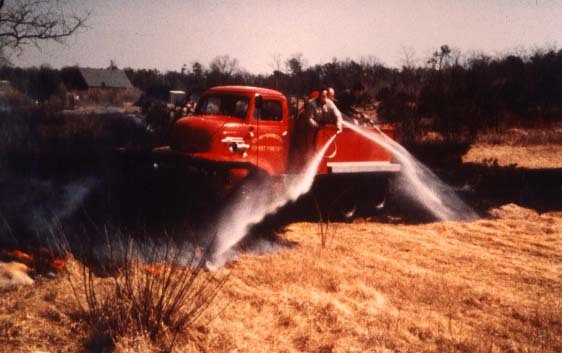 With pump and roll capabilities brush breakers can drive around the fire quickly extinguishing grass fires. 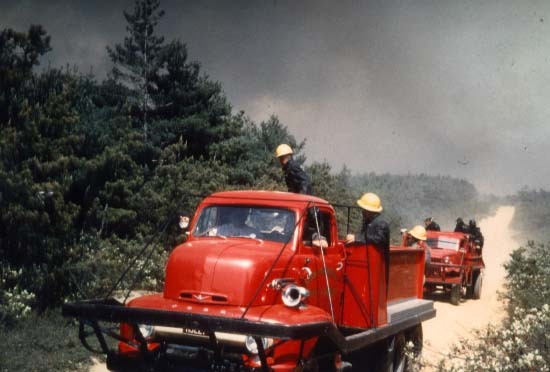 Cape Cod brush breakers were sometimes called to assist at Plymouth County fires such as this Carver fire. 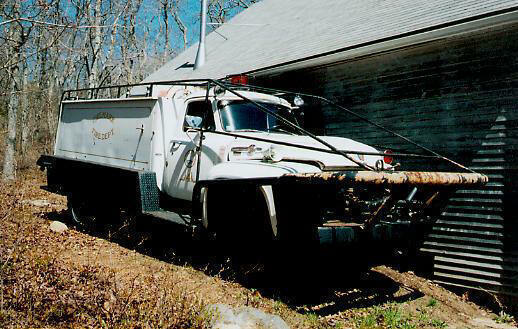 A crew of six was not unusual on the brush breaker. 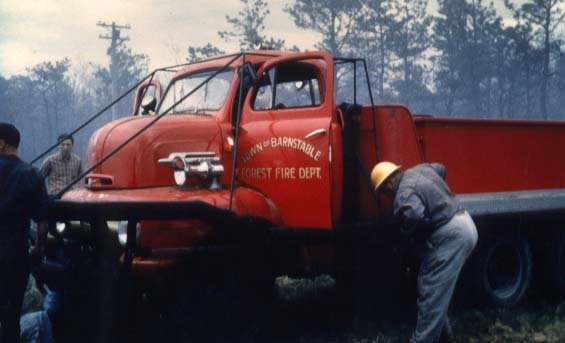 As brush breakers come out of the woods, it is important to clean flammable debris off the truck. 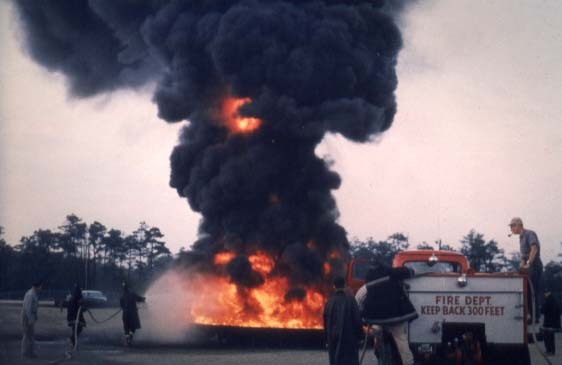 Firemen take a lot of pride in their apparatus. Having a good brush breaker is no different. hose could be dragged into the woods. A variety of tools were also carried. 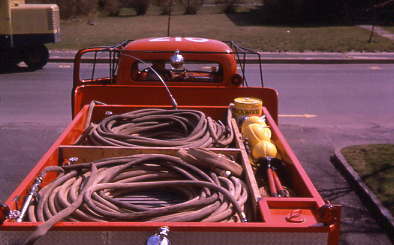 The brush breaker is used to supply lines at the fire school oil pit fires. 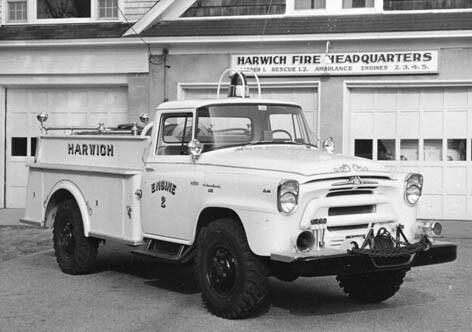 This 1954 Ford / Maynard brush breaker served the Chilmark Fire Department on Martha's Vineyard. 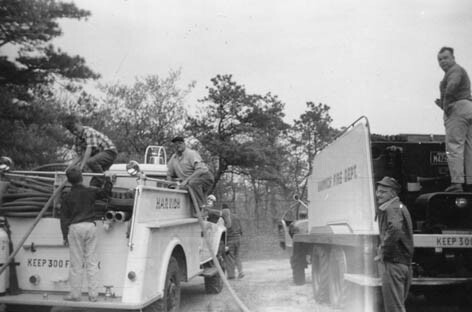 Harwich brush units operating at a brush fire.